A look at the photo op board of Asian Games during the send-off of the Indian athletes clearly indicates the growing interest among advertisers and fans in non-cricket sports. As players stood in front of the board, one could not miss noticing the presence of brands across segments-- from FMCG player Amul to fashion retailer Raymond and financial services company Edelweiss to paint manufacturer Nippon Paints. To top it all, India sent a 800-plus contingent, including 572 athletes, to the Asian Games that will be held from August 18 to September 2. Asian Games is not the first occasion in the recent past when brands came forward to support sports other than cricket. Past few weeks saw back-to-back announcements of brands associating with sports. Last week, Ola in partnership with JSW Sports’ Institute, announced its nationwide crowdfunding campaign #RoadToGold to nurture grassroots sporting talent. The cab-hailing app asked customers to contribute Re 1 per ride across the 110 cities it operates in. The fund collected will be used for the training and coaching of young athletes at the facility. Earlier, Tata Motors had announced an all-encompassing three-year strategic partnership (reportedly worth Rs 18 crore) with the Wrestling Federation of India as its ‘Principal Sponsor’. The partnership is aimed at encouraging and promoting the sport, starting from Asian Games 2018 to Olympics. The brand claimed that the partnership is one of the biggest non-cricket associations in the country. 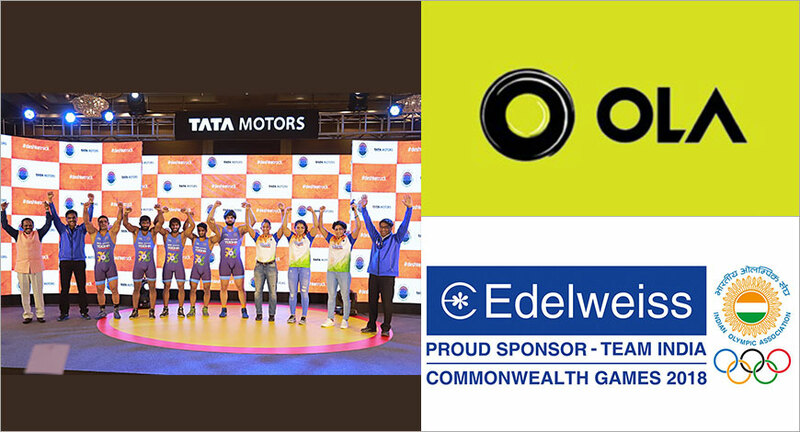 Earlier this year, the Edelweiss Group inked a long-term partnership with the Indian Olympic Association for the sponsorship of the Indian contingent for all tournaments, including Commonwealth Games 2018, Asian Games 2018, Tokyo Olympic Games 2020 and National Games 2019 and 2020. In fact, it extended Rs 50 lakh life insurance cover to all participating athletes (earlier it was only for those whose federations were recognised by the IOA). In the past, Amul had partnered with the Indian Olympic Association as the official sponsor of the Indian contingent for Olympics in 2012, 2016 and the Commonwealth Games 2010 and 2014. Mustafa Ghouse, CEO, JSW Sports, is overjoyed to see this increasing participation from brands. “It is encouraging for the sports ecosystem that more brands are extending their support towards non-cricketing properties. This is clearly an indication that the success of Indian athletes at the international level has been noticed and more people are beginning to explore opportunities to associate with these stories of grit and determination,” he said. “The expansion of brand portfolio for sporting properties is also an indication of how the country is transitioning away from being a single-sport nation. I believe that the connection with sports beyond cricket will help brands connect with a more diverse demography,” added Ghouse. The growing interest in brand association on these properties can be credited to the increasing consumption of non-cricketing properties and the excellence performed by Indian athletes. For instance, according to media reports, 30-35 per cent TV viewership on sports comes from non-cricket properties. Last month, Assam’s Hima Das created history by becoming the first Indian to win a gold at World Under-20 Track and Field Championships. This was followed by sports management firm IOS Sports and Entertainment signing her as their client in a multi-crore two-year contract. Moving ahead, the association is expected to only grow bigger. Ghouse feels that brands like to invest in stories of success. “With a rise in the number of success stories among Indian athletes, I am sure we would see a greater number of brands stepping forward. I'm confident that these results will drive more brands to invest in these athletes,” says Ghouse with optimism.